Science marketing moved forward in leaps and bounds in 2015, as companies embraced new strategies and technologies to deliver personalized value to potential buyers. With increased sophistication on the way in 2016, we take a look at five of the most important marketing trends that science marketers took on in the last year. Bill Gates predicted the power of web content way back in 1996, coining the oft-quoted phrase “content is king.” Now, after two decades, his prediction is being realized for a simple reason: it provides value. Content marketing is the creation and use of content designed to attract a targeted, long-term audience by providing them with content that is genuinely valuable and engaging. Although the ultimate goal can still be to make a sale, content marketing shies away from the hard sell. Rather, the focus is on establishing thought leadership and providing educational materials. To get started with content marketing, download the white paper specifically for science marketers here. This year’s annual report by the Content Marketing Institute revealed the widespread nature of content marketing: 88 percent of B2B respondents said their organization used content marketing in 2015. Further, 76 percent of those respondents planned to increase content production in 2016. 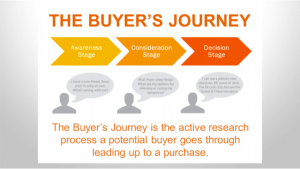 For science companies, content marketing provides important information for every phase of the buyer’s journey. Content can be used to generate awareness about research problems –which your company’s instrument may help to solve – and then help scientists maximize the use of their product with app notes, demonstration videos, and other media. For example, DNASTAR, a company that provides genomics software and services, makes customer interviews, publications, and newsletters available on their site, factors that likely contribute to what may be the most cited software in peer reviewed publications, as noted in their blog post. Not everyone is looking to buy, which means that an article explaining the applications and features of different grades of ashless and low-ash filter paper is going to generate much more interest and traffic than a simple sales page. But when it comes time to make a purchase, scientists will turn to the resources and thought-leaders that have been providing them with value all along. Science marketers were well aware of this in 2015. Where does social media fall, anyway? PR, advertising, and content teams have all staked their claims to the medium, but if the battle for ownership proves anything it’s this: everyone is using social media. Science marketers are sometimes skeptical of social platforms, doubting the extent of their use within the science community. In truth, the right social platforms represent an unparalleled opportunity for communication and content promotion. According to the annual report by the Content Marketing Institute, 94 percent of B2B marketers use LinkedIn to distribute content, 52 percent use promoted social posts, and 51 percent use social ads. C&EN’s own survey on the internet behavior of chemists showed that over 50% used social media to share chemistry-related content. After some social media tips? Look here for campaign insight and here to build a credible voice. Which platforms deserve your attention? LinkedIn remains the professional hub for scientists, but Twitter has its place as a rapid source of industry news. Facebook provides a larger base and a less formal environment – it can help with company culture and hiring, if not audience reach. Understanding the major platforms, as well as those that are science specific, is key for an effective social media strategy. In a related trend, mobile marketing continues to command more attention in the science marketing world, through social and other channels. Having a mobile-friendly (responsive) website or app used to put you ahead of the pack, but not having those features in 2015 actually meant being left in the dust. Why? 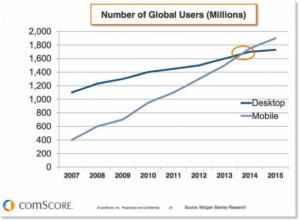 A report from comScore demonstrates that mobile users surpassed desktop users back in 2014.The same report also demonstrated a shift in usage, with general mobile usage accounting for 60 percent of digital media time and app usage accounting for 52 percent. 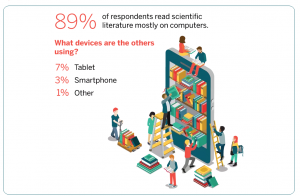 However, C&EN’s survey of chemists found that 89% still use computers to read scientific literature, so the mobile revolution has yet to reach some areas of the scientific crowd, which makes sense given the very nature of the work. Chemists of course are still using the internet to track specific journals, news sites, colleagues, and competitors, so knowledge of your specific audience is critical. Where do they go for information? If they don’t yet prefer mobile, they’ll likely be there soon. Jump on the trend so you are ahead of the game once they start shifting their behavior, – and so you don’t get penalized by search engines. What else should you be on the lookout for? 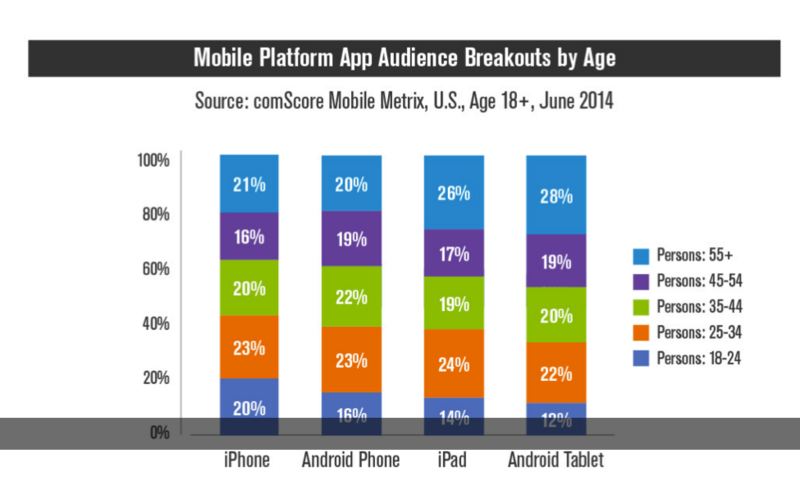 As mobile usage continues to rise, mobile ad spending will join it. eMarketer estimates that mobile advertising accounted for 51.9 percent of digital spending in 2015. Actual commerce on mobile devices remained low at only 1.6 percent of retail sales, meaning that people still transition to their desktops before placing orders. 2016 therefore represents an opportunity to improve the mobile buying experience. An eCommerce site for reagents, for example, must be easy to navigate, easily searchable, and responsive to smaller formats like tablets and mobile. It must also be able to accept mobile payments in as few steps as possible to avoid distracting or otherwise losing customers. Remember, even if your customers aren’t buying on phones – yet – it’s important to Google, which means your site could appear lower in search results. This would definitely influence your customers. Additionally, science marketers might wonder: isn’t mobile usage higher in the teenage crowd, with those less likely to be decision makers? In fact, mobile usage is fairly evenly distributed across age groups, making mobile a prime method of reaching influencers, from grad students, to postdocs, to senior purchasing managers and CEOs. The buyer’s journey model for marketing put a stamp on the industry in 2015 as a popular method of personalizing information. Marketing automation tools like Hubspot, Marketo, Eloqua, and Pardot enable businesses to automatically customize a user’s experience based on their IP history, what they’ve downloaded and more. Targeted information can then be delivered based on their area of interest and stage of the buyer’s journey. According to Salesforce, marketing automation was among the most piloted marketing technologies in 2015. These customer-based approaches overlap with multiple trends: The buyer’s journey describes a customer’s needs during the decision-making process; marketing automation makes it easier to address those needs, and content marketing gives science marketers the tools to execute both. The diagram here from HubSpot provides a simple illustration: the information that customers care about during the awareness stage is different from what they care about in the decision stage. That difference needs to be accounted for to coach bench scientists, lab managers and CEOs towards a purchase. Although adoption of marketing automation is increasing, particularly in health and pharmaceutical companies, marketers across the board are still not fully utilizing its capabilities. Only 38 percent of users employ the advanced tactics available to them. So for the year ahead, science companies can leverage the buyer’s journey by providing personalized value: first information about best practices, then important factors to consider when making a decision, and finally features and benefits of specific branded products. 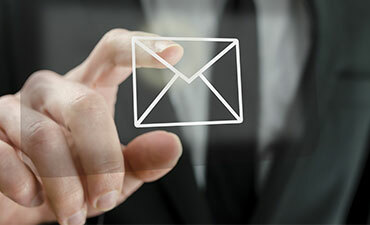 Full integration of marketing automation is on the way. Search Engine Marketing (SEM) and Search Engine Optimization (SEO) can be standalone tactics or used to amplify awareness and traffic to other marketing campaigns. Both seek to place your brand, content or product front and center. SEO does this ‘organically’ by optimizing content for search engine results; SEM can take a paid approach, with pay-per-click (PPC) ads and more. For science marketers, digital tactics resonate, as they are data-driven, analytical and come with definitive metrics. Across all industries, SEM has become the most popular paid method of promoting content, with 66 percent of B2B marketers on board in 2015. Some 72 percent of marketers believe SEO is an effective marketing tactic. The ubiquitous nature of search makes these methods crucial; data from Pardot indicates that 72 percent of buyers use Google during the research phase of the buyer’s journey, and 70 percent return to Google at least two-to-three times. Not ranking on the first page of results is a great way to hurt your business. As the joke goes, the best place to hide a body is page 2 of Google search results. [alert type=white ]In short, content, technology, and personalization fueled the major marketing trends of 2015. As technology becomes more advanced in 2016, it will allow delivery of increasingly individualized content, and a better understanding of how to move your unique customers through the buyer’s journey. 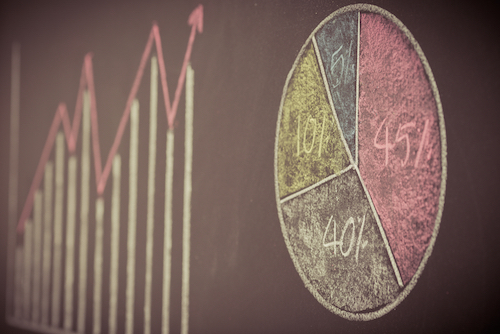 what marketing trends were on the top of your list in 2015?